La Plagne 1800 is located in the spectacular French Alps and is perfectly situated for skiers and snowboarders to enjoy the exceptional slopes alongside the region’s quaint and cosy atmosphere. With easy accessibility to some of the best runs in the country and amazing conditions, La Plagne 1800 is a fantastic ski destination. Rather than facing long queues and lots of congestion, visitors can look forward to a more laid-back vibe. La Plagne 1800 was originally a mining village and it has retained much of its classic charm with plenty of delightful wooden chalets. If you’re looking for a quiet break where you can focus on skiing, relaxing and simply getting away from it all, this is the place for you. The ski season at La Plagne 1800 takes place from November to April and the runs are immaculately well-maintained, offering a fantastic experience for visitors regardless of ability. There is a fantastic range of terrain for skiers and snowboarders in La Plagne ranging from 1800m to 3417m. 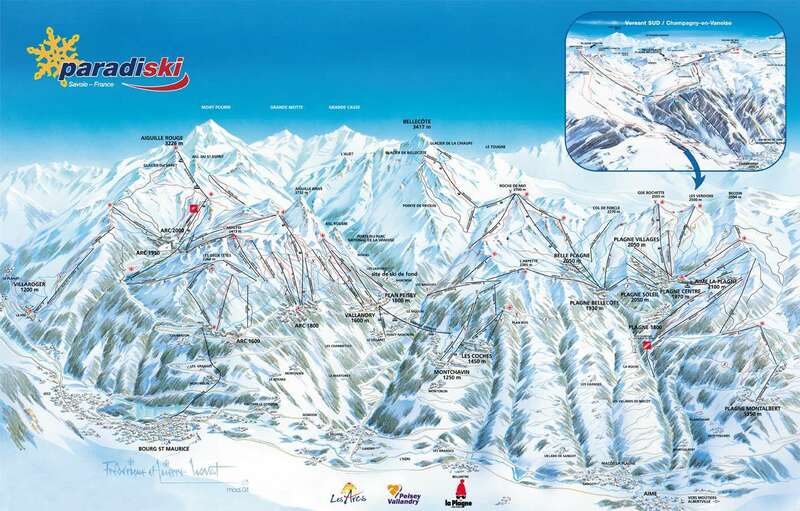 There are 225km of pistes in La Plagne and another 200km in Les Arcs which is accessible via the Vanoise Express. 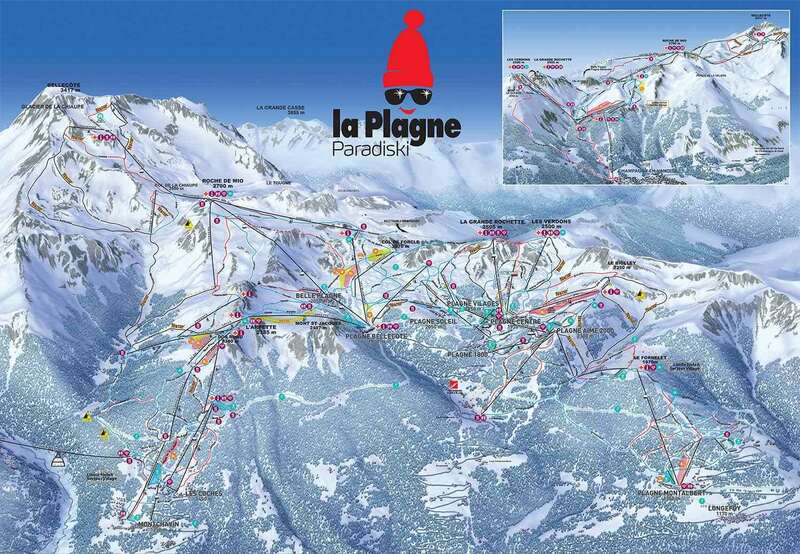 La Plagne 1800 is one part of the Paradiski Ski area which in total make up over 425km of downhill skiing. The resort has a fantastic reputation for beginners and intermediates. Ranging from nursery runs to more complex routes, the learning curve here is ideal and enables people to develop their skills at a speed they are comfortable with. 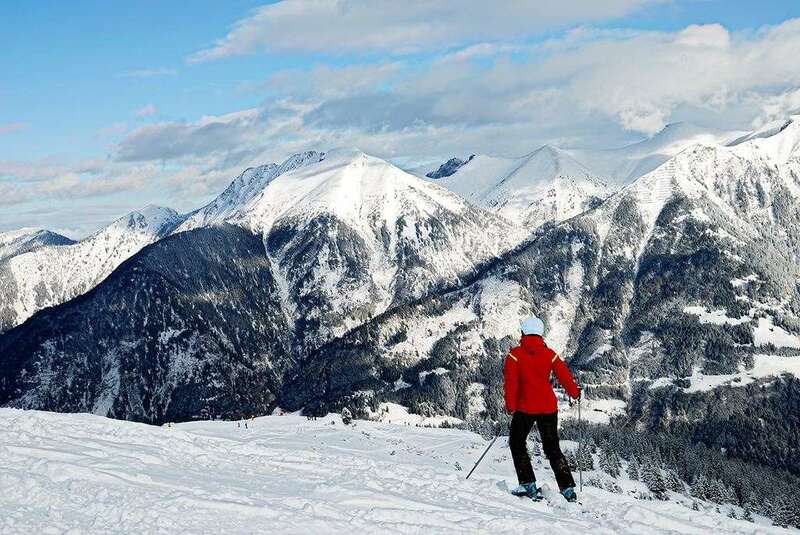 Fans of off-piste skiing will be happy with La Plagne’s options, where they can make the most out of the splendid scenery by skiing through the area’s beautiful forest runs. After your day of skiing is over, La Plagne 1800 is a fantastic place to unwind. One of the top venues is Le Mine Bar, where there is an outdoor terrace offering breathtaking views, along with regular DJs and live music. When it comes to food, Mamma Mia’s is the leading restaurant in the village, offering a delicious selection of Italian food. La Loup Blanc is another tremendous option, where there is a varied menu ranging from local delicacies to amazing steaks. The closest airport to La Plagne 1800 is Chambery, which is around 1 hour and 30 minutes away. This really is an intermediates paradise with few challenging black runs and little for the tentative novice. The connecting lift to Les Arcs is not in operation this year, but there is loads of skiing in La Plagne without it. We stayed in self-catering accommodation which was of a good standard. Take plenty of games as there is little to do in 1800 once you have finished skiing. There is only one restaurant, a Pizzeria, which serves decent pizzas. Suggest you take the free bus to Plagne Central for a wider choice. We were a group of 18 enjoying exclusive use of this Chalet. We had 9 adults and 9 children, many of whom were first time skiers. Firstly, the skiing. We were slightly nervous about the snow as we were visiting at the end of the season. Although runs to the lower slopes were not all open, the snow to Plagne 1800 was fine and the runs above Plagne Centre fantastic! Hardly any queuing, despite the school holidays. The ESF ski school instructors were fantastic, inspiring confidence in the adult and child beginners. One slight concern was the number of people taking advantage of the Learn to ski deal- advertised as being for complete novices who have not even skied on a dry ski slope- who were clearly not beginners. One had even done a ski season a long time ago. This did affect the confidence of the beginners in our group until we discovered the true experience of these &quot;natural&quot; skiers. The Inghams rep resolved the situation by re-negotiating private lessons. The location of Chalet Anna is a short downhill walk from the ski-school meeting place and hire shop. All facilities in Plagne 1800 are close together but it is not the resort if you want a varied apr&#232;s ski. Good live music in La Mine most nights though. It is possible to ski back to the chalet but the route is not immediately obvious. Get directions as it saves an uphill walk from the bus stop. Some of our beginners managed this on the 2nd day, as it is an easy route. The food in the chalet for adults was a very high quality. Our older children found it limiting and my 11 year old was disappointed with the portion size and quality. Rooms were generous, no bunk beds! Overall a great holiday.